Classic camera designer Leica got even more classic with the Sofort, the company’s first instant film camera. After launching the instant camera in the fall of 2016, Leica hasn’t forgotten about the little film camera — on Friday, September 21, Leica launched a new black version of the Sofort. The camera, named after the German word for “immediately,” is now available in black, mint, and white and joins the instant film trend. The Sofort is wrapped up in a stylish body that is expected from a camera with the Leica name. 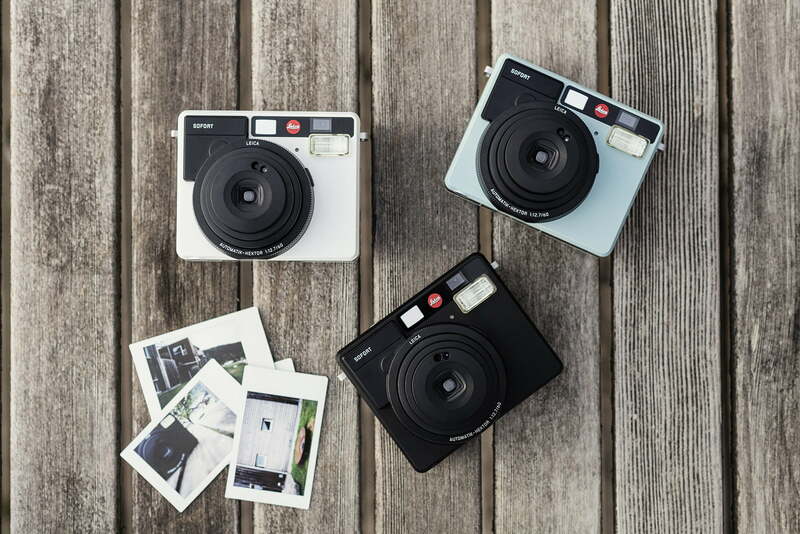 The camera is available in three colors that the designer says reflects the fun of instant photography. The design is not entirely retro-inspired — a tiny rectangular mirror on the front of the camera acts as a compositional aid for selfies. The Sofort also comes equipped with a self-timer and a selfie mode, along with auto, party, sport, macro, bulb, and multiple exposure modes. While the camera automatically selects the aperture and shutter speed, exposure compensation gives the user a bit more freedom. The flash can also be left on, off, or on automatic. The camera’s focusing distance can also be set outside of the mode, using macro, standard or long-distance options to keep a sharp subject. The Sofort lens’ narrow f/12.7 aperture should also help keep things in focus. In keeping with the retro appeal of instant film, Leica added a warm hue to their Instax color film. Monochrome film is also available in a 10 pack, while the color comes in packs of 10 or 20. Both film options are rated for ISO 800. With an information display on the back of the camera and a built-in flash, the camera does require a battery. Thankfully, the battery does not follow the vintage inspiration — it is rechargeable, rated at 100 shots. Leica is also introducing several Sofort accessories, including straps and carrying cases. Designed specifically for the size of the Instax film, albums, postcards and photo presenters are also slated to be part of the product line. The camera retails for $299 from Leica dealers. A 20 pack of color film sells for about $22. Monochrome instant film is also available for about $15 for 10 exposures. Updated on September 21, 2018: Added new black model and prices.